Over the years Checkmate has acquired properties that some would consider to be “troubled buildings.” The apartments faced many years of neglect, disrepair and were in overall poor condition. By using a great deal of experience, a strong team and determination they were able to bring these properties back to life. 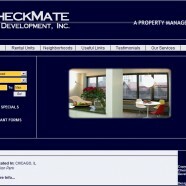 CheckMate Realty acquired 110 residential units in the year 2009. These properties were in extreme disrepair, unsafe and an eyesore to the community. A comprehensive action plan including substantial rehab, tenant screening and marketing greatly improved these units. This is evidenced by an increase in occupancy from 30%-95% and tenants who take pride in their homes and the entire property.